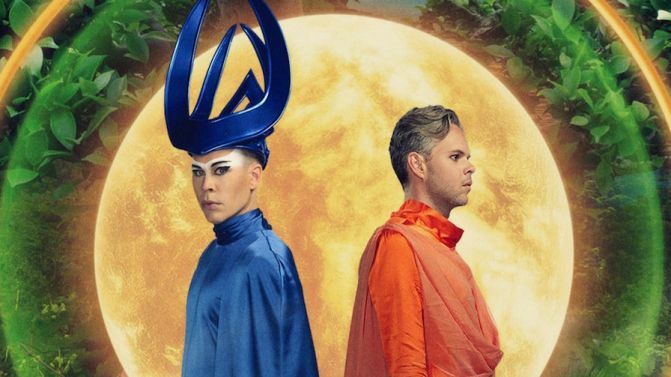 Empire Of The Sun aren’t holding back when it comes to showcasing their forthcoming third album Two Vines. Yesterday they gave us the first taste with the track High And Low, and now we’ve already dropped the album’s title track to follow it up. Two Vines was premiered on triple j this morning, and it’s another heavenly slice of otherworldly pop. You can stream the track in full, below. One half of the duo, Luke Steele, spoke to triple j and revealed a few tidbits about the album, which was recorded in Hawaii. While Steele says the process was difficult at times, he compares it to going to the dentist. “It’s tough at the time but then you come out and think it’s great you got all the cavities out,” he tells triple j‘s Matt Okine and Alex Dyson. As for the sound of the album, he says they’re going back to their “roots”. 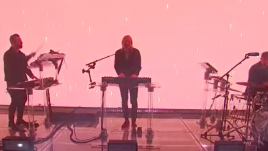 They’ve tried to use more analogue instruments like they did on the first record Walking On A Dream, rather than following the route of the far more dance-heavy second album Ice On The Dune. Steele will be touring the record, as per usual, playing “some shows” and he’s pretty happy with the setup by the sounds of it. “It’s just such a magical show we put on,” he says. 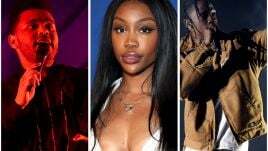 He also says the death of a number of music legends this year has made the duo reconsider the quality of their music. “It was a wake up call when David Bowie and Prince died, because they were so prolific. We’ve gotta pick it up,” he says. Two Vines isn’t the only project Steel has in the pipeline. He’s also been holed-up in the studio working with former Silverchair frontman Daniel Johns on a collaboration that’s been over eight years in the making. Last week, Johns posted an Instagram photo of Steele and himself, captioning it simply, “Early DREAMS,” but now Steele has given us a few more details. He’s been in the studio in Los Angeles with Johns for the past two months, and says that the music they’re making “sounds like the future” and is “pretty amazing”. It sounds like it’s going to be a big year for Luke Steele’s many musical projects. Two Vines is out 28th October and hopefully his collab with Johns will follow soon after.